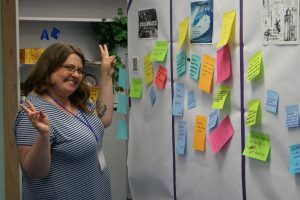 At the VIU Teaching & Learning Conference 2017 we were summarizing the days work in post-in notes. This entry was posted in My Blog and tagged Conferences. Bookmark the permalink.